Obituary for Carlton "Bobby" Stanley Simmons , Sr.
Carlton "Bobby" Stanley Simmons Sr., 92 year old WWII Navy Veteran of Elizabethtown passed away on Wednesday, November 14, 2018. He was preceded in death by his parents: Augusta Floyd Simmons and Nettie Watts Simmons, his wife: Hilda Britt Simmons, three brothers: G.F. Simmons, Grady Simmons, and Billy Simmons, two sisters: Kate Davis and Elouise Johnson. Bobby leaves behind his wife Donna Simmons of the home; son: Stan Simmons and wife Jennie of Elizabethtown; two daughters: Carla Evans and husband Tony, Lynn Brisson and husband Nile, both of Elizabethtown; one step-daughter: Cyndia Smith Russell also of Elizabethtown, three sisters-in-law: Mildred Simmons, Gladine Britt and Molly Britt, grandchildren: Jeff Brisson and wife Tammy, Brittney Allen and husband Jordan, Alex Peterson and husband Daniel, Noah Simmons, Elijah Simmons, step-grandchildren: Heath Britt, Ashley Berdeau and husband Brandon, Krystale Russell, Ashley Bunnell and husband Trey, and Samantha Abernathy and husband David, 12 great grandchildren. A firm handshake, a kind and encouraging word, an infectious smile, and laughter that was as bright as a song. He was a good man who did life well, even to the end. He was tender, loving, and could spot a good character from a mile away. Filled with understanding, he was always ready to extend another chance. He lived by the motto; "Do what you do, do it well"… and he did just that.These were the qualities of a man who spent his life serving. 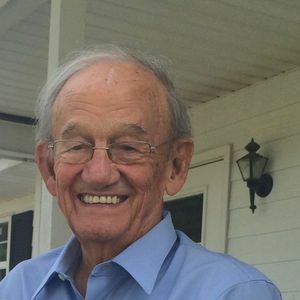 Bobby Simmons was a man who served his wife and family in wholehearted love. He served his country heroically, he served his community honestly, and served his God through it all and forevermore. Bobby Simmons crossed over into Glory in the comfort of his easy-chair Wednesday night with those who loved him most in his midst. Bobby is remembered fondly by his family and community as a prominent businessman, Sunday school teacher, carpenter, and friend. A Celebration of Life Service will be held on Saturday, November 17, 2018 at 11:00 am at Wesley's Chapel United Methodist Church in Elizabethtown with Rev. Eckie Lancaster and Rev. Darrell Copeland officiating. The family will receive friends following the service in the Multipurpose Building of the church. The burial will be private. Add your thoughts, prayers or a condolence to Carlton's guestbook.